How do I configure an External Application for an account using a URL? Note: This lesson applies to sub-accounts as well. Enter the name of the Application in the name field . Enter the consumer key in the consumer key field  and the shared secret in the shared secret field . This key and shared secret will be provided by the vendor or (if using the Edu Applicationss Index) provided by the website. 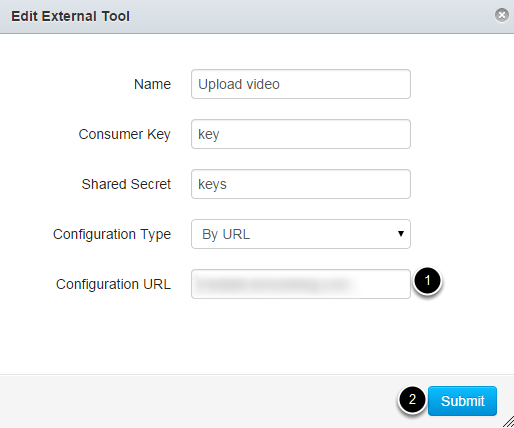 Enter the configuration URL in the Configuration URL field . 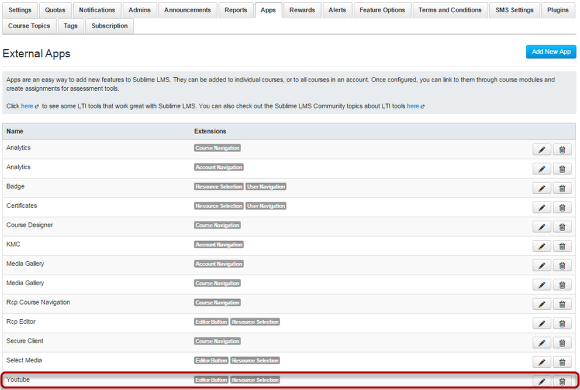 Click the Submit button to link the External Tool .